The General Assembly of the United Nations has designated June 23rd as “Public Service Day” — an annual day intended to celebrate the value and virtue of public service to the community. 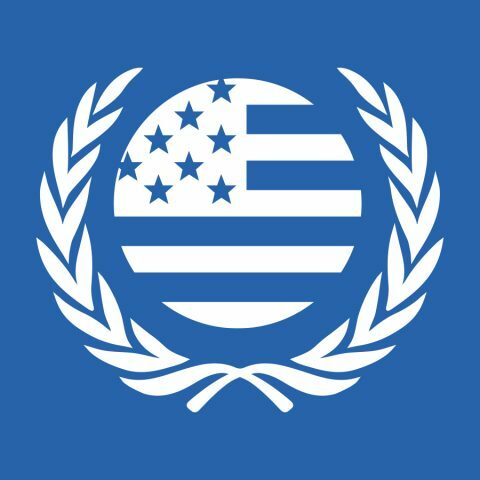 To commemorate this day, our chapter of the UN Association has created the UNA-OKC Public Service Award — to honor a county, state or other governmental employee whose work serves to promote “…social progress and better standards of life in larger freedom.” (From the Preamble to the UN Charter). UN Public Service Day recognizes the work of public servants, encourages young people to pursue careers in the public sector, and highlights valuable contributions to community and global development. This year, we are asking friends and members of the United Nations Association to nominate a state, county, municipal, or other government worker for recognition as our Public Service Award winner for 2016. The 2016 Award Winner will receive a commemorative certificate and their story will be highlighted on our website. Jessica Martinez-Brooks serves as the Director of Community Outreach and Education at Oklahoma City Community College with a goal of improving and increasing access to post-secondary education for at-risk, low-income, urban, and minority populations. Through this year’s award, we want to pay our respect to Ms. Martinez-Brooks as an individual and we aspire to honor all public service workers who help to support public education as a profession. We also hope to call greater attention to the need for quality education in our communities and around the world. Ms. Martinez-Brooks currently serves as a volunteer for a number of organizations in the metro OKC area including: the Southwest Center for Human Relation Studies at OU, Regional Food Bank, Teach for America and more. Jacklyn Brink Rosen is a legislative assistant in the Oklahoma House of Representatives. Several factors were considered in the decision to select Ms. Rosen as our award winner. First, we were impressed by her professionalism and commitment to the functions of the Oklahoma House of Representatives — including the development of public policy, respect for the law, accountability, and responsiveness to constituent problems. Just as important, we wanted to recognize Ms. Rosen’s spirit of volunteerism — a trait that is shared by many public sector workers in our state. Ben Pollard is Assistant Director of the Oklahoma Conservation Commission. Mr. Pollard has devoted his career to building the kind of relationships with Oklahoma landowners that will lead them to a commitment of time and finances to protect their land. This is completely consistent with UN goals. An important mission of many UN agencies is the conservation of our world’s natural inheritance — including the soil and water which sustain us all. The United Nations Public Service Day was established by the UN General Assembly in 2002 in order to highlight the contribution of public service in the development process. In establishing Public Service Day, the General Assembly recognized that "...efficient, accountable, effective and transparent public administration, at both the national and international levels, has a key role to play in the implementation of internationally agreed goals, including those contained in the United Nations Millennium Declaration."